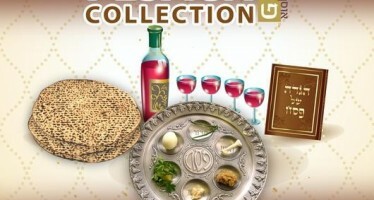 Below you will find a collection of video clips taken at the 32nd annual Chabad Telethon. Filmed live at the historic Saban Theater in Beverly Hills, California on Sunday, September 9th, 2012. 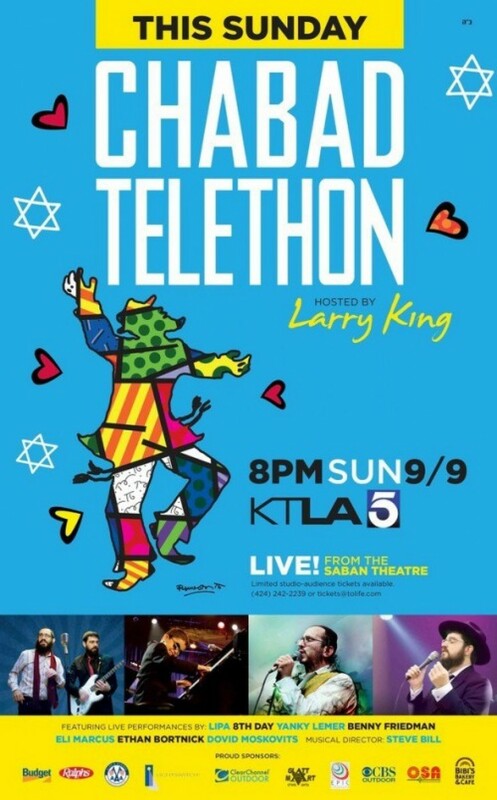 8th Day made their TV debut on the Chabad Telethon stage in 2007, today they are taking the Jewish music world by storm. 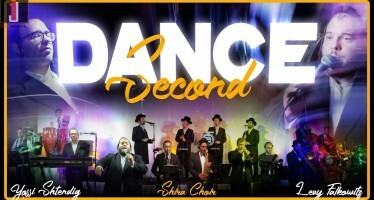 Their hit “Ya’alili” launched them to unprecedented heights and has secured their spot as the hottest band in Jewish music. They just released their 5th album called “All You Got“. 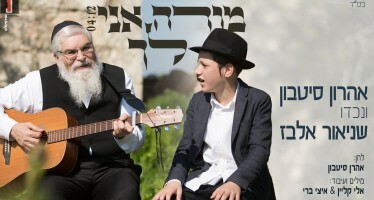 Benny Friedman & Eli Marcus grew up in families filled with music and song. They are first cousins, both children of Chabad emissaries who serve their communities in S. Paul, Minnesota and Long Beach, CA respectively. Cantor Yaakov Lemer sings Avinu Malkeinu on the 32nd annual Chabad Telethon, September 9th 2012. Cantor Lemer was introduced by Telethon host Larry King. The song was part of a tribute to the “Munich 11″ on their 40th yahrtzeit. Filmed live at the historic Saban Theater in Beverly Hills, California. Larry King introduces “My Yiddishe Mama” performed by 11-year-old Piano Prodigy, Ethan Bortnick with new English lyrics.